Goizper Series 5.8 is a Pneumatic Combined Clutch-Brake. Manufactured and designed with dual braking and clutching functions, however functions may not both be activated at the same time. Suitable for applications used in metal cutting and bending machinery.  Industrial Clutch Parts Ltd. holds stock of Goizper Combined Clutch-Brakes. We are able to offer quick delivery times and reduce costly machine downtime. Goizper 5.8 Series is well suited for the power transmission industry, specially designed for applications used in metal forming, machine tools, construction and marine, such as presses, shears and folders. The pneumatic combined clutch-brakes provide high efficiency and low maintenance for can end press drive systems. Goizper 5.8 Series offers maximum efficiency and reliability for your application. Manufactured and designed to obtain the maximum possible torque within the dimensions of the unit, due to the fact that the piston reaches the maximum diameter. Goizper Clutch-Brakes can be installed with fixing rings or pins.